We are Jesús Villaverde, cultural journalist and soon-to-be cinematographic critic and Jorge Dueñas, art historian and graphic designer. How was OchoQuince Magazine born? OchoQuince came up - as every good idea does - at a bar, with coffee and beer. It was a cold December afternoon in Madrid, and between laughs, enthusiasm and excitement, we decided to start doing something with all the time we spent watching TV shows. Besides, our different profiles - one dedicated to visual aspects and the other to narratives - combined perfectly when it came to analyse fictions, and we thought it would be a great idea to explore that opportunity. What can we find on the magazine? We publish cultural analysis of TV shows written by us or our collaborators (already friends of ours) from different perspectives. It has nothing to do with the typical chapter reviews. No. We go a step further, searching for connections with other cultural products, references, readings, etc. Although, if chapter and seasons reviews are what you are searching for, you can find them on our website. Our first influence was a book called Teleshakespeare, written by Jordi Carrión. Since there, many other colleagues have inspired us on a daily basis; like Javier Melendez, Yorokubu's colleague articles. 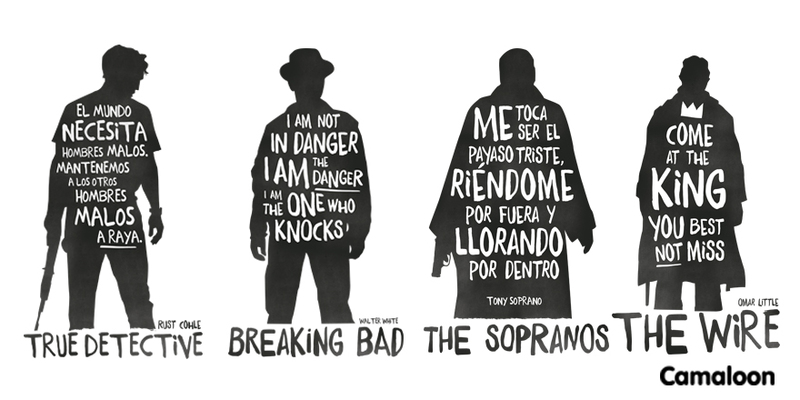 And, of course, TV shows are our main inspiration. What is the most unexpected surprise OchoQuine Magazine has ever experienced? Well, clearly the warm welcome on Social Media Channels. We started this project because we were enthusiastic of this idea, but we didn't know it could get anybody's attention. With time, we have made lots of new TV-show-lovers friends, of which many have joined our project; and in the end, that's the best you can get out of it. Where did the idea of creating TV show t-shirts come from? From our geek personality. 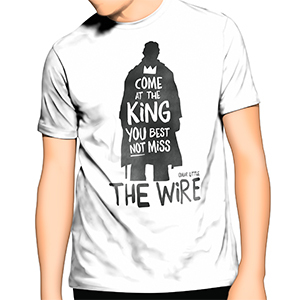 They are the t-shirts we would love to wear; with our favourite TV shows quotes. The first radio interview we got to talk about our project was made from our mobile not-that-good speaker on and the truth is that we didn't hear them very well. Afterwards, when we listened to the interview, we realised that we gave some answers that had nothing to do with the question to begin with. As if we were politicians! What is Camaloon for you guys? A really cool online store. When we started with the OchoQuince Magazine project, we ordered some badges with our logo. We loved them so much that when we thought of introducing t-shirts, we knew who we had to turn to.